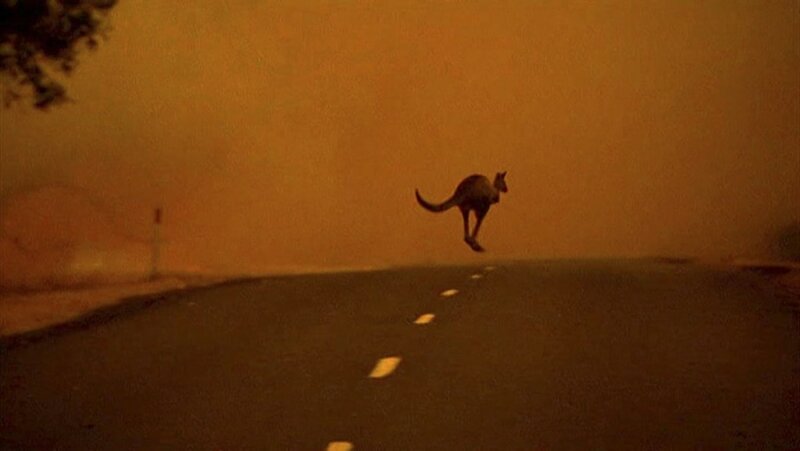 A kangaroo crossing a road in Gippsland, Victoria, Australia, as it escapes from a bushfire. 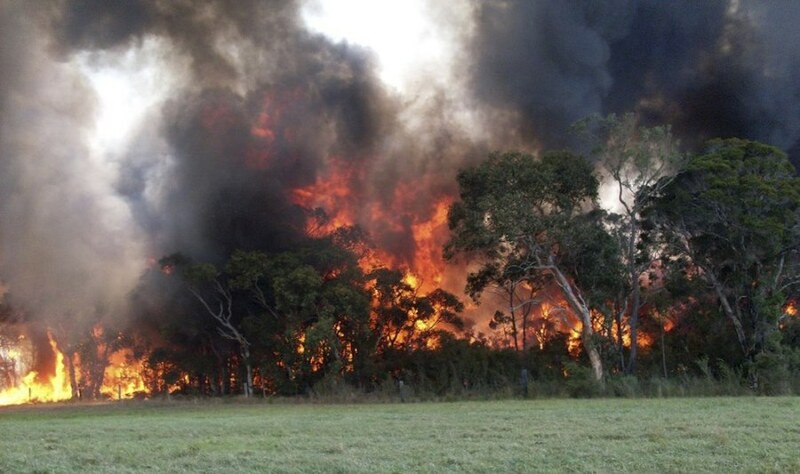 Several homes have been lost in a 25,000-hectare fire in Victoria's southeast. A fire burns in the Ku-Ring-Gai National Park on Jan. 18, 2013. 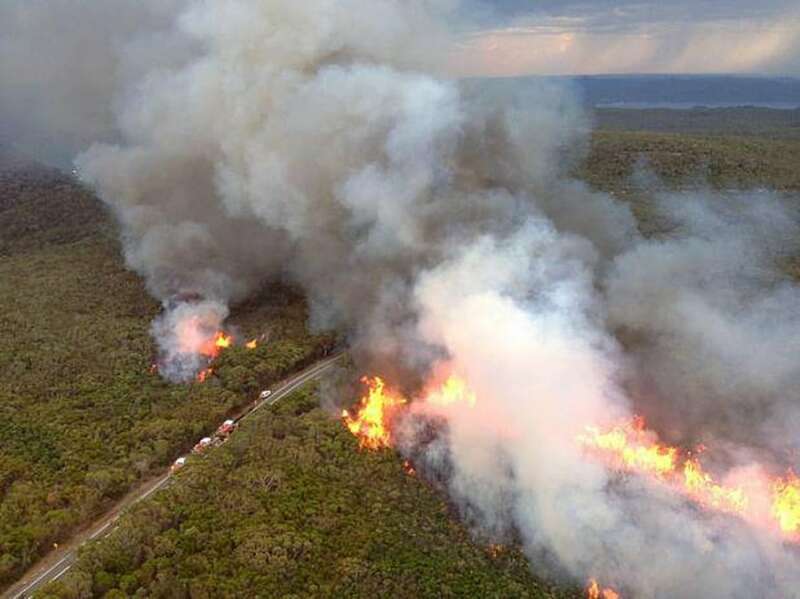 Firefighters are battling scores of wildfires in southeastern Australia as hot, dry and windy conditions combine to raise the threat, The Associated Press reports. The Australian Broadcasting Corporation reports that emergency warnings are in place in the states of Victoria and New South Wales, and that the body of a man was found on Friday in a burnt-out vehicle near the town of Seaton. The BBC reported on Friday that Sydney was experiencing its hottest day on record, with temperatures in the city reaching 45.8 degrees Celsius (114.44 degrees Fahrenheit). People try to escape the heat by standing under a fire hose at Big Day Out music festival in Sydney on Jan. 18, 2013. A bushfire burns near Seaton, east of Melbourne, on Jan. 18, 2013. 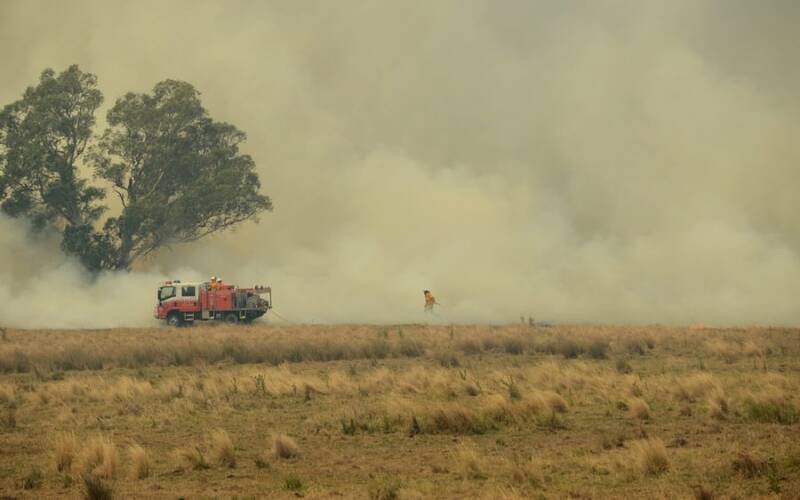 Reports state that a bushfire burning mainly in forest country about 200km east of Melbourne is 'as bad as it gets' and could continue for days or even weeks. Rural Fire Service volunteers battle spot fires threatening homes and heading towards the Newell Highway south of the town of Coonabarabran on Jan. 18, 2013. A large 40,000 hectare bush fire is burning in the Warrumbungle National Park. 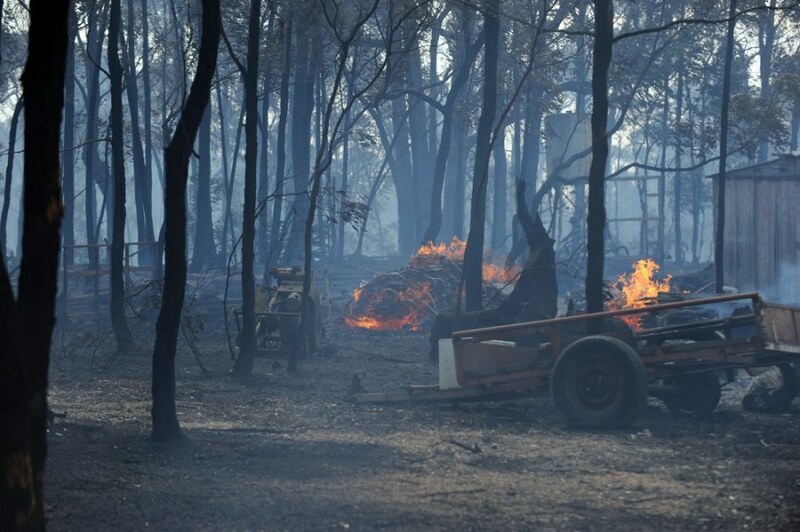 Fires have destroyed more than 40 homes in New South Wales. A bushfire burns on Melbourne Street in Cessnock, about 75 miles north of Sydney, on Jan. 18, 2013. Record high temperatures heat up the Australian city of Sydney with the mercury hitting 114.44 degrees Fahrenheit. NBCNews.com's Dara Brown reports.